A turbo charger for your other products, Aspect Dr Multi B Plus Serum literally gives your current products a big boost. Infusing your skin with an energising cocktail of Multi B Vitamins and a patented blend of skin fortifying sea plants, Aspect Dr Multi B Plus Serum enhances the overall results of any skin care regime. Vitamin B intake does a lot more than maintain a healthy body. By incorporating a vitamin B serum into your daily skin care routine, you will be creating an environment which will improve the health of your skin, improving the appearance of dull ageing skins and acne and congested skins. A few types of vitamin B are responsible for these brighter, healthier skin results. Vitamin B12 helps regulate your skin’s pigment production, protecting it from hyperpigmentation and uneven skin tones. Viitamin B3 improves the appearance of skin generally, while Vitamin B5 helps minimize acne by aiding the body in breaking down oils, which are in the form of triglycerides and cholesterol. Aspect Dr Multi B Plus Serum is 30ml of high-quality Niacinamide, which is vitamin B3 and nicotinic acid – an extremely effective skin-restoring substance which offers a range of benefits for all skins. Niacinamide is effective at improving the appearance of enlarged pores, fine lines, uneven skin tones and a weak skin surface. On top of that, it’s helpful for congested acne-prone skin as well as dry, irritated or rosacea skin conditions. Aspect Dr Multi B Plus Serum pairs the power of Niacinamide with sea plants which contain a wide-variety of vitamins, including the B vitamins mentioned above. This special combination of all the B’s help to normalize the skin’s pH and increase blood flow to the skin. It also holds in moisture, regulates oil production, prevents pigmentation and soothes inflammation. This powerhouse serum supports a wide-range of different skin conditions and skin-health needs – all thanks to its superior vitamin-based formula. Let Aspect Dr Multi B Plus Serum rejuvenate your skin and overall complexion so that you can gain back the confidence you deserve. Aspect Dr Multi B Plus Serum is recommended for all skin types. Aspect Dr Multi B Plus Serum is suitable during pregnancy or when breastfeeding. Apply a pea sized amount to clean damp skin after other serums. Follow with your moisturiser. Use morning and evening. We always recommend applying sunscreen during the day to protect skin against sunburn and premature ageing. Ive been using this product in combination with the Active C serum, as recommended specifically by my dermatologist. They have worked wonderfully. I used to have dull, bumpy skin, however the Dr Multi B Serum has really helped my skin look a lot more radiant and nourished. A wonderful product! I first bought this product as part of the ABC kit 8 weeks ago and would like to recommend this superb product to anyone with aging skin. Contains no chemicals, it readily sinks into the skin and leave face, neck and décolletage areas feeling vitamised and soft. Significantly improved the overall look and health of my skin and I love that it’s an Aussie product. I have been using this product since I started with peels and fractional resurfacing, it is a wonderful product to supercharge your skin. Best Multi B serum I’ve used! I have been using it together with the Active C serum for a year and would high recommend it for any skin type to use it. I have been using Multi B since getting a series of peels and it is amazing! It is so lightweight and a little bit goes a really long way. I use it day and night and my skin feels amazing after applying it. Highly recommended! I struggled with severe acne and had tried everything… I mean everything!! After visiting multiple dermatologists I finally found one who prescribed me this wonderfull bottle of magic. After using this for a week my breakouts had completely calmed down and were on there way to recovery. 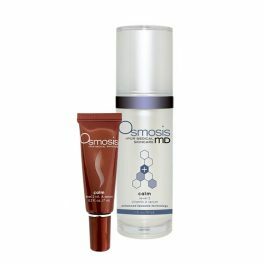 Obviously after having severe acne I struggled with hyper pigmentation also which this product 100% made a drastic help. I have been using this for roughly 6 months and I will never go back. Truly amazing! I have purchased this product 6 times and can honestly say that i will be purchasing it for the rest of my life. Aspect Dr Skincare is my holy grail thank you for changing my skin game. 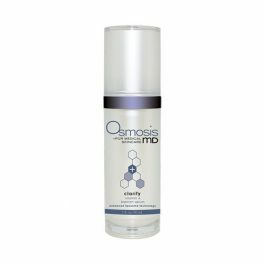 I have been using this serum along with various other products from this company. It has a very refreshing feeling and I feel my face actually does hold more moisture. This is by far my most favourite serum ever!!! The whole aspect dr range is amazing! I have been using this serum for three months and I love it. I apply it every evening. It’s very hydrating and improves your complexion. I also use aspect dr vitamin c serum in the morning and they complement each other very well.